FUN WITH THE OCULUS RIFT: AUGUMENTED REALITY, UNITY3D AND 4 DIMENSIONAL VECTORS, OH MY! 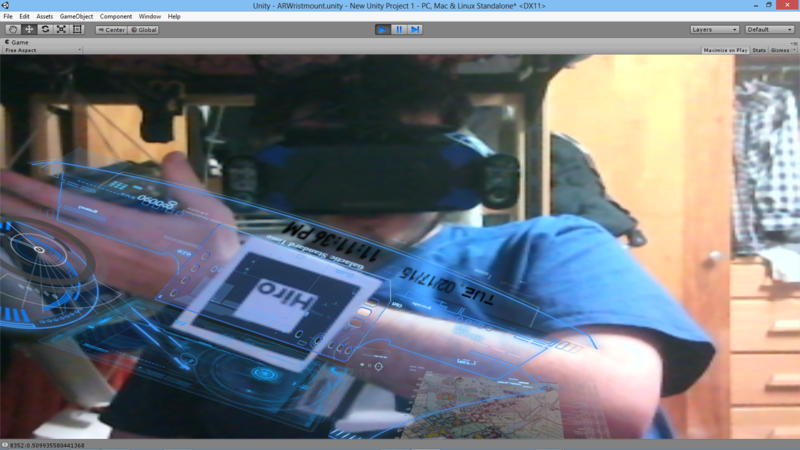 ^ Augmented Reality watch testing on Unity3D. 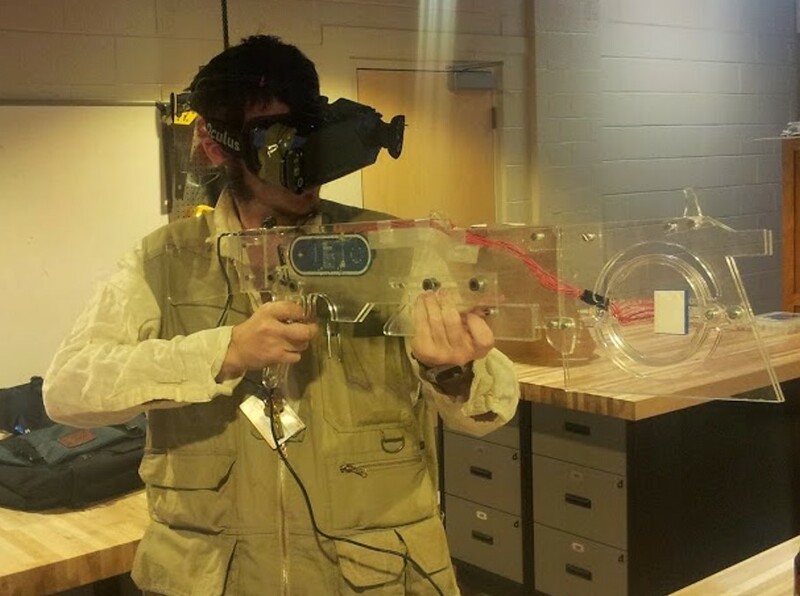 ^ Playing Halo: CE on Oculus Rift using my gyroscopic game controller. Recently my friends have been bugging me to get an Oculus Rift, mainly to see what I would do with it. Well I finally broke down and bought one. So, here is what I did with it. To start, I attempted to play Halo: CE on it with my Gyroscopic Game Controller. I have a computer with a decent enough processor to can play halo effectively, and I tried hooking my game controller up to it and playing Halo by aiming. Aside from having issues with Vireio, I ran into the issue that my game controller has no buttons to move, only an accelerometer (at some point I need to use quaternions to make that work, but four-dimensional coordinate systems are scary). Once I had everything hooked up right, the lag was just bad enough to make playing difficult. Oh well. Maybe later. Also, there are a number of interesting games and tools that can be used with the rift, like VRclay (for those of us that use 3D printers) or any of the games on Oculus Share, and Virtual Desktop has been fun to watch movies, do work, or (my personal favorite), turn on the iTunes visualizer, wrap that 360 degrees around, and be “immersed in the wubs,” as it were. However, I am more creative than just playing with it the way it was supposed to be used. What if this could be used as a tool? For those of you who are interested in buying a Rift but are not sure, I must say that, if you are looking to play games on it, wait for the consumer version. However, if you are looking for an immersive space to use as a maker’s build platform, the devkits are extremely useful and fun to play with in that regard.